Louisiana will keep its National Guard air support team on the Texas border, Gov. John Bel Edwards announced Wednesday, even as he criticized President Donald Trump's administration for separating families who crossed into the United States illegally. Also, Maine’s Republican governor has OK’d a federal request to send a National Guard helicopter with two pilots to the U.S.-Mexico border. 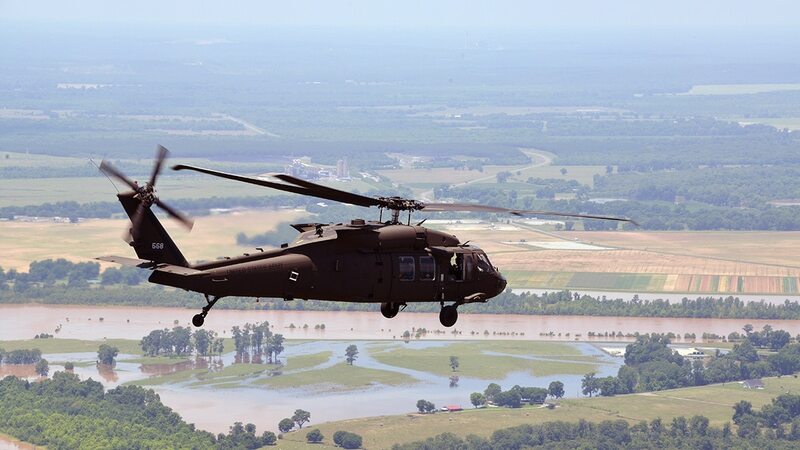 The Democratic governor of Louisiana said that his state’s three-person National Guard team and one helicopter, which have been at the border since May, will remain there until mid-July as planned. In a statement, Edwards described it as Louisiana’s longstanding practice of providing assistance to neighboring states when requested. Some other states had announced they were recalling such border patrol support in opposition to the Trump administration’s decision to separate families apprehended at the border, a policy which has drawn widespread condemnation. Trump signed an executive order Wednesday to end the separations. Four US bases are under consideration to house immigrant children. Edwards said Louisiana’s National Guard crew “plays no role, direct or indirect, in the ill-conceived policy of separating families.” He described the state’s National Guard team and helicopter, which has night-vision capability, as providing routine air support to assist with drug enforcement, anti-terrorism efforts and security for border control agents on the ground. “It is an unconscionable practice that is inconsistent with our fundamental values as Americans,” Edwards said. Several Louisiana Democratic lawmakers had questioned whether the state’s National Guard should be providing any sort of border patrol assistance as long as the Trump policy remains in place. Meanwhile, Maine Gov. Paul LePage’s office said his state’s team will support Customs and Border Patrol in Arizona from July through September. LePage’s office said Maine will fly the helicopter but won’t be involved in law enforcement activities. Since 2006, Maine has sent 389 service members to the border. Associated Press writer Melinda Deslatee reported from Baton Rouge, La.